The fall palette has already taken over the landscape, with its brownish leaves and trees. We particularly love this season because it is perfect to look for inspiration. With the rainy weather, we are kept busy indoors to prepare the new models of accessories for this summer and advocate for a more responsible fashion! If you did not have time to follow us every day on social media, here is the summary of the past months – more retailers, more style and more fun! To better serve you, we partnered with different retailers and be closer to you as much as we can. You can find us on I Love Designer (and get exclusive products such as the Pink Lou straw basket), on Then and Now (and match our accessories with the clothing you have always wanted), and on World Fashion Hunters (and look at the reviews of our awesome customers). The list is not exhaustive and we are so excited to announce that we will be soon have a presence in Australia and Germany! New accessories have also made their way on the website – only on preview. You will find the same characteristics of our brand: the perfect and delicate finish, the modern shapes of the accessories – inspired by minimalism and timeless style, the fondness for details – from vegetable tanned zebu leather winks to pure raffia pompoms. We want to say that raffia accessories are not just for spring and summer – bring them for fall and winter to level up your style! Make sure to preorder as they will be available in a limited stock only. 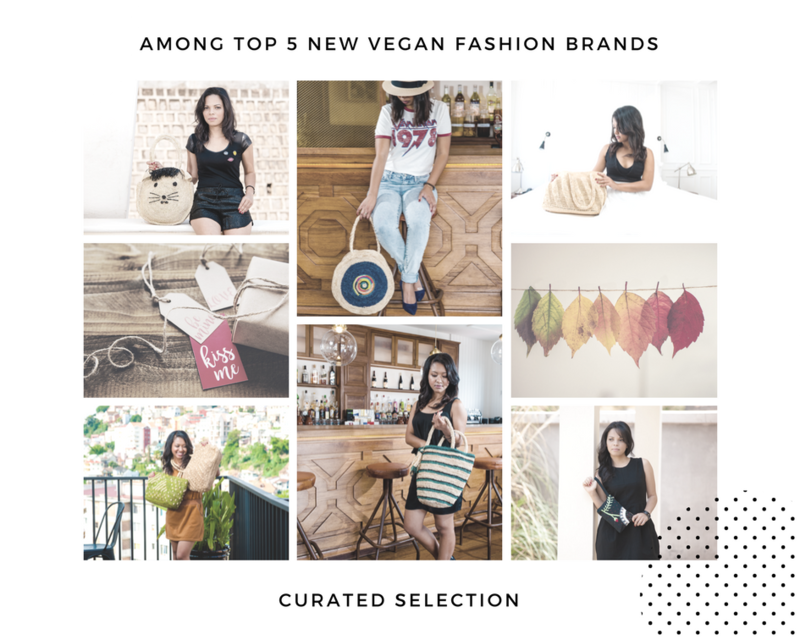 And last but not least: we made it to the top 5 new vegan brands by Eluxe magazine! Yes we are very proud and we will continue to promote sustainable and ethical fashion. Remember – all our vegan products are clearly marked for each product. We are at your disposal for further information, and by then, happy shopping! 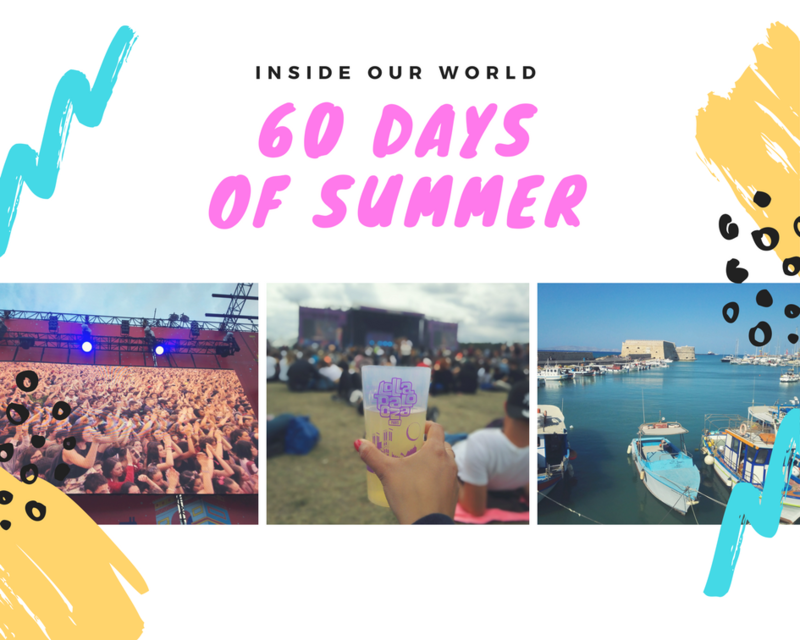 We took the time to write this piece to share with you our summer experience and what kept us busy during these past two months. -the tote bag: well, probably THE ultimate festival bag. Perfect to bring along the sunscreen, the hat, the smartphone (and the power bank!). As it is resistant, it is not afraid of the rain – nor the sun! -the good mood: certainly the best accessories that are priceless! The real ingredient that would be everything way more enjoyable. There are still a few days left before the end of summer – enough time to transition into fall, discover our newbies on the website (we actually worked hard these past two weeks!) and enjoy the great weather before it is getting cold. We are so excited that June has already arrived because it means summer, holidays, wedding season, festival season, sun and beach. And so much more. Because it is a month that always bring us so many (good) surprises, we also have a few for you. The first one is the release of your favorite jewelry set – the horn Square bangle and ring. It is now available in Blue Klein in a very limited edition (yes, Blue is the warmest color!). For every purchase of the set, we will offer a small raffia purse to store your jewelry, or use it for your coins and other small treasures. Hope you will love this revisited version, as much as the Orange and the Turquoise ones. The second one is a special surprise with one of our favorite wedding inspiration websites of all times (if we could, we would celebrate love every single day). This is not a spoiler so check it out on 17 June on our Facebook page (and it is time to get social and follow us if you haven’t done it yet!). And last but not least, we are preparing a special collection of raffia Handbags for Fall and Winter. We are convinced that timeless and chic pieces will be perfect for any outfit all seasons. The preview of this limited edition collection will come soon so keep on following us on Instagram and Twitter to be among the first to see it! And you, what are your plans for summer? 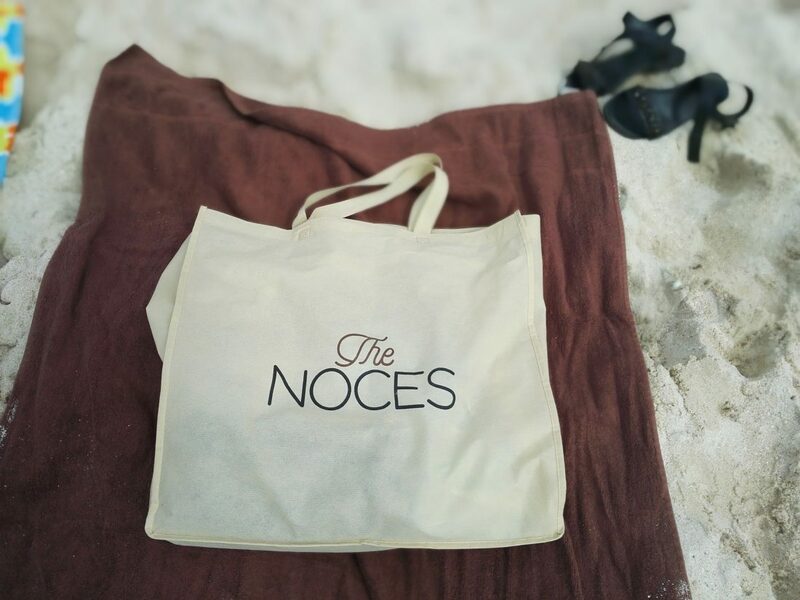 Make sure to tag us on your holidays’ pictures with #thenoces so we can follow your adventures! -our Busy Bee raffia handbag: which Mom has never been busy to raise her offspring? Raise your hands if that’s not the case! -our Forever Young raffia handbag: well, this has a double signification – Mom will always see us a her little baby and for us, Mom will always be herself – not gonna change a bit. -our Habibi embroidered pouch: we love to call our Mom with sweet names too! And she is definitely a Queen of A Thousand Nights. There is so much more we could offer Mom on this special day – and some priceless attention – like I love You Mum (it works a bunch to make her happy!). 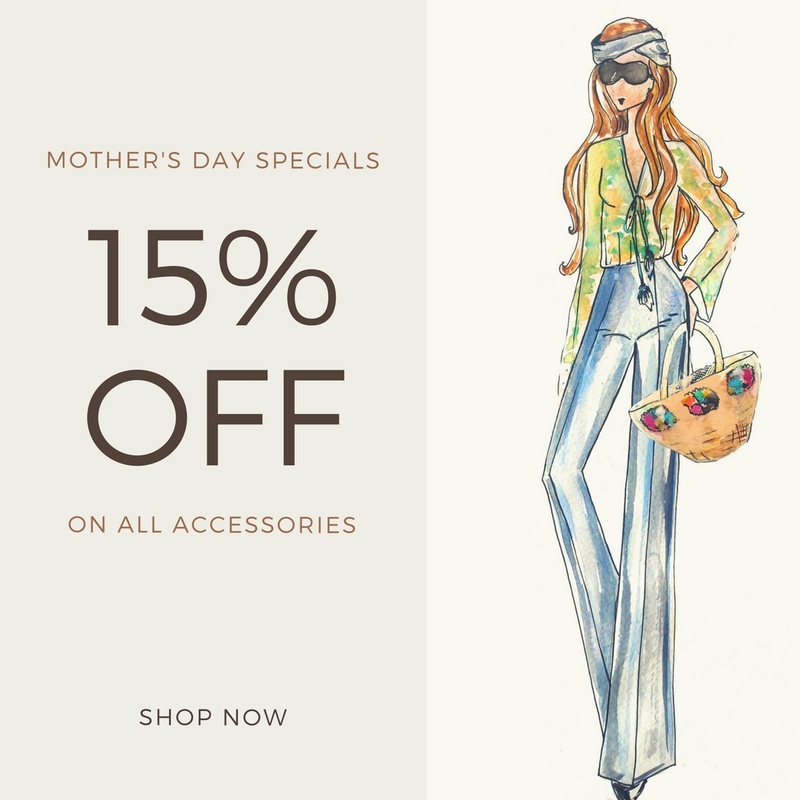 We will be also offering you a 15% discount on all items until end of May. Use the code 15OFFMUM2017 to activate your discount. Let’s wrap it up with Boyz II Men’ song – A song for Mama – as the lyrics are just perfect for our lovely Mom: “Oh you know I love you. Mama, mama, you’re the queen of my heart. Your love is like tears from the stars. Mama, I just want you to know” – Oh boy, the nineties really rocked!